You’ve started a new blog, you’re trying to figure out what to write about… and you are struggling to figure out interesting topics to write about. Not sure what content curation is? Imagine you’re the owner of an art gallery with 2000 paintings at your disposal. While every painting has its place, you can only afford to hang and arrange 50 of them–and they have to attract buyers as soon as possible. You’d want to pick the best pieces that would appeal to your viewers, right? And you definitely want to share the best artwork, so that your viewers keep coming back to your gallery. In the case of content marketing, content curation is similar. You’re picking information out that is most relevant to your audience and presenting it in a way that is pleasing to them. Except, unlike art galleries, most content writers have 2,000 resources to choose from (and in many fields, 200,000 or 20,000,000. Can you say “information overload?”). There has to be a way to filter that down. Enter content curation tools. You might use them to figure out what readers are talking about in your niche, save content that engages you, inspire you for future posts, or to simply find articles to share on social media. Content Gems simple to use and entirely free. Simply plug in the topics you’re interested in and let the software do the rest of the work for you. It will curate relevant posts to the topic of your choice. For example, I pulled it out for this post. I made a new account and plugged in the keywords from the headline. After plugging in these simple fields, I got a long list of trending articles relevant to my interests. Granted, the results could be far more niche, but that relies on the user to plug in more detailed keywords. Scoop.it acts similarly to Content Gems, except it focuses mostly on social sharing. Plug in a few keywords and get started! Ever miss Google Reader? I sure do–and I was on The Old Reader until I discovered this fantastic new tool. 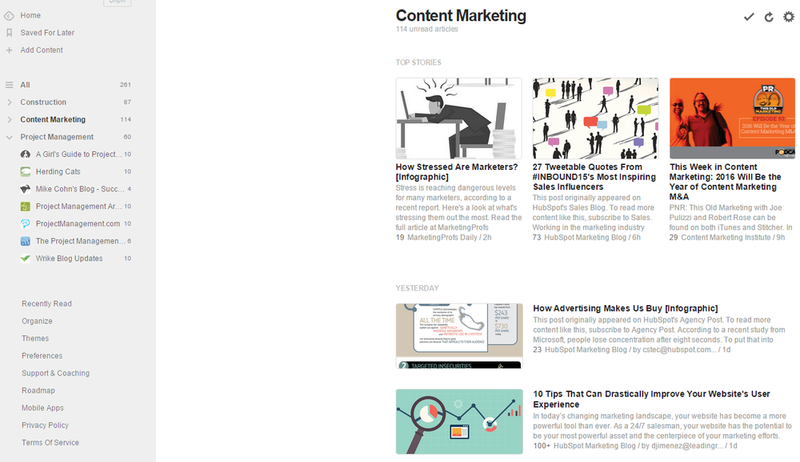 Feedly aggregates RSS feeds by topic and visually displays what might be interested in. Naturally, it allows you to plug in your own subscriptions as well. There are boards relating to everything on Pinterest. Regardless of if your niche is fashion or farming, following relevant Pinterest boards will keep you up to date on your topic of choice. While Spundge is an end-to-end content platform, it’s a great tool for content curation alone. Use a free account to plug in your topics, and Spundge does the rest for you. For example, if you sign up with a Twitter account, Spundge will go through your tweets to garner relevant hashtags. Each “notebook” is similar to a Pinterest board, filled to the brim with juicy information about whatever topic you desire. List.ly is a collaborative list-building tool. Here’s how it works: select a topic that you want to build a list on (like “The Top Fall Shoe Trends in 2015”). Invite people to join your list–they can add suggestions or vote up the suggestions you already have. If you have a particularly shareable list, there’s a free WordPress extension that can engage your on-site readers with voting and submissions. MyCurator is an option for WordPress bloggers looking to stay on top of trending topics throughout the day. It takes suggestions from your RSS feed, Twitter, and Google Alerts and summarizes it all onto WordPress itself. The tool can be a little finicky at first, but with a little keyword training it can be your new best friend for trending topics. I resisted it at first, but Flipboard is one of my favorite phone apps of all time. Simply tell Flipboard your favorite topics, spend some time upvoting and downvoting articles that they find for you until your feed is entirely customized. It runs a little slow sometimes on my Galaxy S5, but the iOS version is seamless. Taken from my Galaxy S5. Bundlr allows users to make gorgeous collections of relevant blog topics posts to specific categories, much like the the other sites listed above. However, Bundlr also lets you share your “bundles” of information–with new collaborators, on social, or even on your blog. Bundlr is not well-known now, but will likely grow in popularity because of its intuitiveness and simple UI. My LinkedIn friends are pretty diverse–as are the suggested reading from Newsle. Most of my network are not content marketers–they’re people I’ve met over the course of my life or they relate to the content I write on for Capterra. Make sure your LinkedIn network is commenting on the articles that you particularly care about (for example, if you’re a botanist PHD and you have lots of flowery friends) or else you’ll get overwhelmed in a Facebook-like feed of irrelevant content. However, if you do have your niche locked down on LinkedIn, Newsle is one of the best free content curation tools out there. TechCrunch writes, “Pearltrees’ mission is still to allow you to organize everything you want on the service (in that respect, it almost competes with Evernote).” In other words, beyond a content curation service, Peartrees is great for storing and sorting information. Like Bundlr, Pinterest, and List.ly, it allows users to collaborate on your “pearltrees.” The online and mobile application also allows users to upload their own files, like images, to add to their pearltrees, but buyer beware: there is a storage limit on free accounts. That’s what my coworker said when I had Paper.li publishing on my project management Twitter feed. And her reaction is common; when left to its own devices, Paper.li can turn your feed into a giant Paper.li love fest. I’m sure you’ve seen it before. My old Twitter. Lord help me. Limit your Paper.li to post only a few times a week, and you’ll be fine–or you can tell it not to post at all. As long as you customize your Paper.li, it should pull from Twitter influencers or hastags in your niche. The relevant related articles will publish on your paper, and, as you can see above, Paper.li notifies contributers that they’ve been selected for your daily update. Paper.li is a great way to garner new followers and help you stay up to date with what’s new in your industry. I have a “researcher” account on Rock the Deadline and it’s a godsend. Not only does it allow users to curate content, monitor the news, create relevant dashboards, and plug into your Twitter and Facebook, but you can automatically update your WordPress blog straight from the site. What’s more? They have a free editorial calendar. Thank you, from content marketers everywhere. Headslinger is great for finding new sources to follow. You go in and find specific sources you want to follow. For example, I follow lots of technology blogs and news sites. As I mentioned TechCrunch above, let’s use that one as an example. On the right-hand column, Headslinger recommends sources similar to it. If you’re wondering why an obvious site, like The Next Web, isn’t listed, it may be above in my pre-existing tech folder. More importantly, to the left, you can see who’s reading the magazine at that moment. 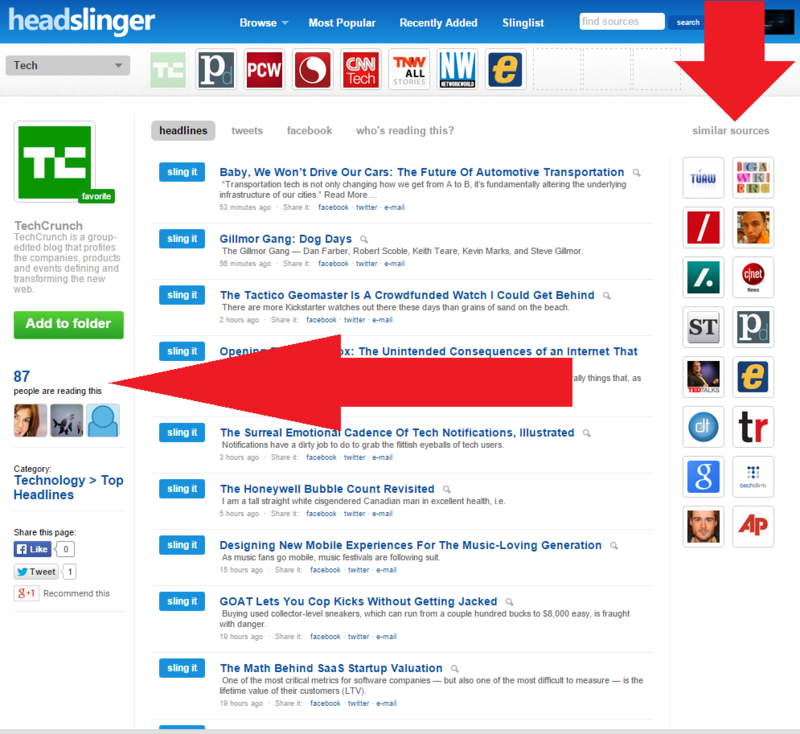 If you click that number, Headslinger will bring you to a page listing everyone active. If you go ahead and click on their profiles, you can see what other channels those users are following. 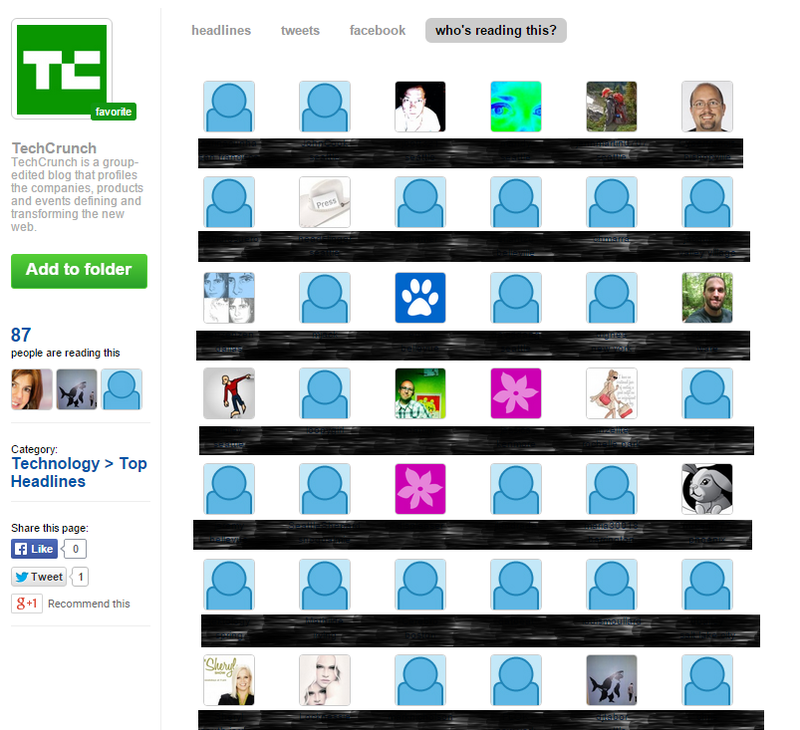 For example, Miss Rabbit follows Techcrunch in addition to Lifehacker, Scientific American, and GeekWire. Curious about what topics are doing well on social media? Check out BuzzSumo. 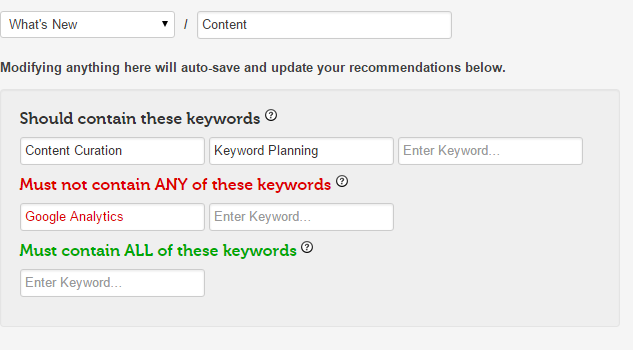 It will take keywords on your topic and generate a list of what’s been written on and how often it’s been shared. It will not, however, log the content you want to keep, so I recommend using one of the above-mentioned content curators for that function. If you haven’t heard of Klout by now, it’s time. Klout is a measuring service that tells you your social ranking on a scale of 1-100 by gauging your social media channels; Justin Bieber is toward 100 and your great-grandfather is headed toward 0. What’s more important for content curation is that Klout will identify what topics you’re an “expert” in and suggest topics to share. Like BuzzSumo, it doesn’t allow you to save articles. I just discovered DrumUp, and I couldn’t be more excited. Why? Because it’s stupid simple. Literally anyone could use it. Simply login with a social media account like Twitter, Facebook, or Linkedin. Put in some keywords for each account; for example, I doubt my Facebook feed cares much about B2B software, and I really don’t think my LinkedIn network would appreciate me sharing my latest cat video. Note that the page is remarkably simple: all you have are headlines and what social channel you’re looking for. 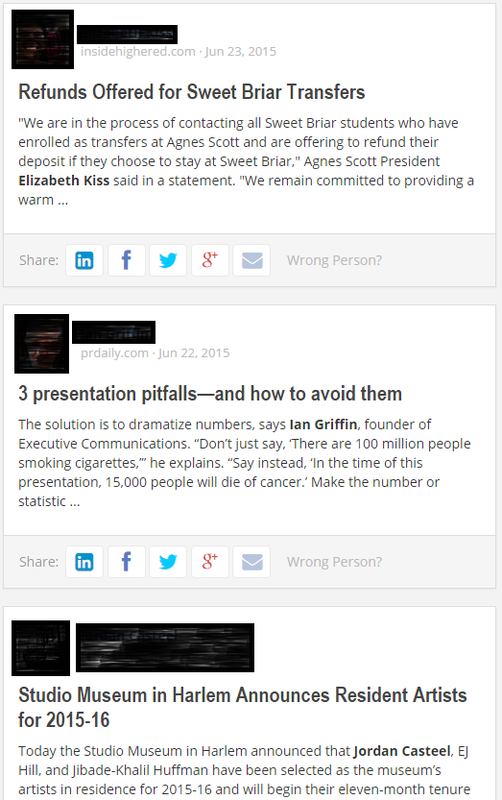 You can schedule articles to share on LinkedIn, tweet, and post on Facebook. And that’s all DrumUp claims to do or needs to do. It will not save your content, so you may want to use a different system to do so if that’s what you’re looking for. 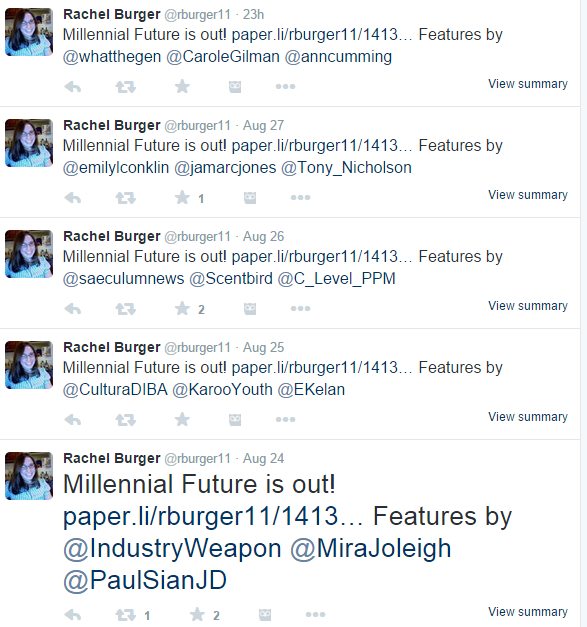 There are lots more content curators out there, and I’m sure I missed some. But these are the ones that quickly rose to the top of the list. They all give you great, updated content relevant to your niche, and what you do with that information depends on the service or the niche. Leave a comment because I want to hear from you! 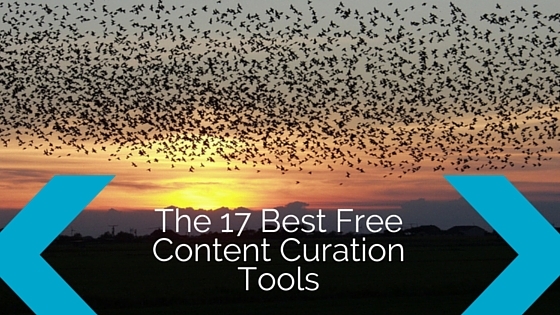 Is your favorite free content curating tool not on the list? What is it? Or did I get one dead wrong? Love one that I recommended? Let’s hear it! Great stuff Rachel! I haven’t heard of DrumUp before. Excited to check it out!Another great tool for curation is Publicate.it Its a great option for creating branded curated assets that can be embedded into a blog, used as a newsletter, resource hub, etc. as well as add your own commentary/context along with it. Oh cool, I hadn’t heard of it before. Looks worthwhile to check out! 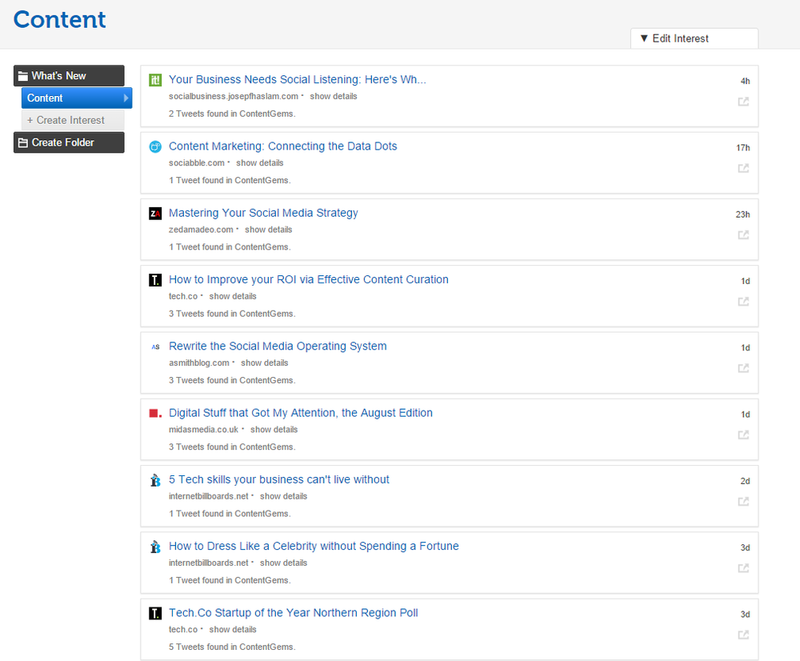 Contentle is the digital content curation tool. It helps to arrange various types of content such as web pages, links, photos, videos, and texts. It allows sharing of the items or collections of items with friends and colleagues. 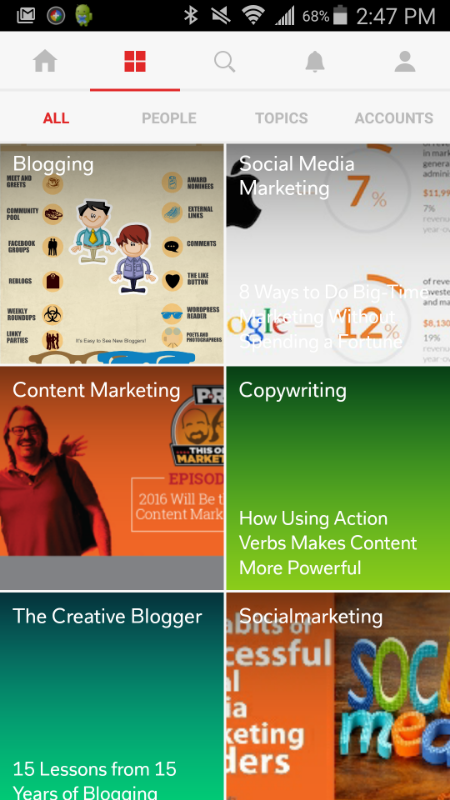 Visual bookmarks, intelligent search, different view modes, RSS reader, tagging. Contentle is easy to learn and intuitive to use and will keep pace as your skills and needs grow.